Who is Josef Katz? The fun-loving, harmonica-playing dad Sara loves so much? Or the monster who abuses Sara’s mother and locks himself in the bathroom, unable to beat his addiction? Eight-year- old Sara Katz huddles under the covers, listening to her parents’ muffled arguments and fighting the sleep that inevitably brings her bad dreams—dreams of her terrifying Shadow Father, a heroin addict. Is my daddy not a good father? Is it my job to fix him? As Josef’s sickness worsens, young Sara is torn apart by her family’s need to keep its “shame” a secret from its Jewish community in Brooklyn. Sara finds herself drawn to the liberation movements of the 1960s while feeling trapped in the darkness of her father’s addiction and, ultimately, his untimely death. Will Sara ever learn the truth about how her father became addicted and why he couldn’t get well? How will she find her own identity if her family can’t embrace its truth? And if Sara reveals her father’s secret, will she find freedom—or destroy her family? 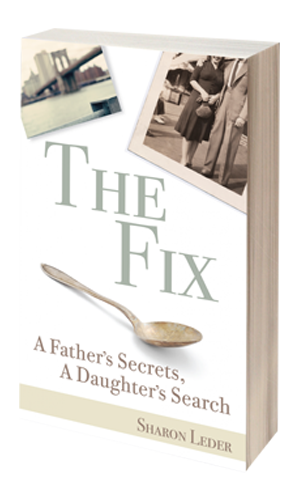 The Fix does what I would have thought impossible, leading the reader to feel compassion for a man whose decades-long heroin addiction destroyed his life, while almost destroying the lives of his wife and children. Told from the viewpoint of his daughter, Sara, the richness of her love, coupled with the reality of her pain, leads the reader to find a certain nobility in a deeply damaged man. A compelling novel, The Fix is also a true story. 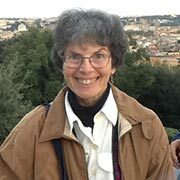 Sharon Leder taught English, women’s studies, and Jewish studies on several campuses of the State University of New York before beginning the second half of her life as a fiction writer and poet. As a teacher, she wrote books and articles on women writers, on the literature of the Holocaust, and on women in academia. An earlier draft of her novel, The Fix, was a finalist in Merrimack Media’s Outstanding Writer Award (2015). Leder resides on Cape Cod with her husband, artist and author Milton Teichman. Together they run The Teichman Art Gallery. The Fix is distributed by Baker & Taylor Publisher Services.